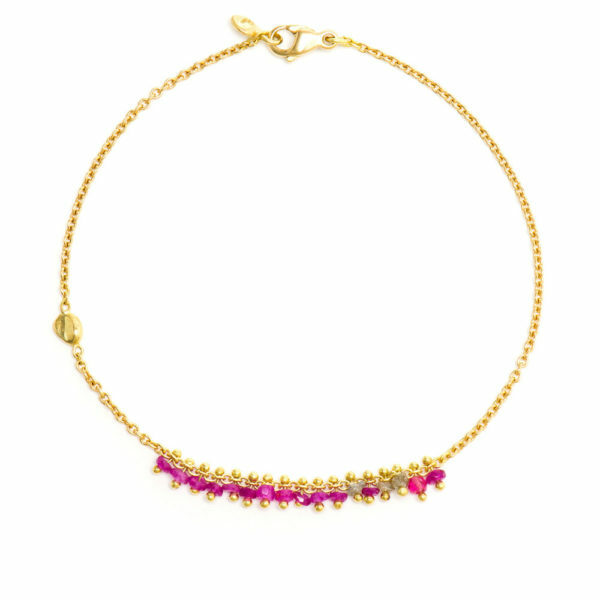 This solid 18k yellow gold precious bracelet consist of fourteen 2-3mm pink spinel and three 2mm grey rough diamonds and are interlinked with 18k gold pins. 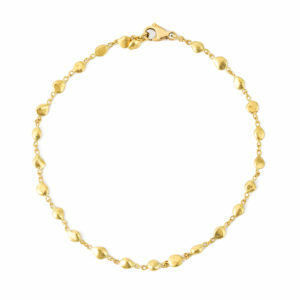 The bracelet has a small solid signature gold nugget, the nugget has an approximate diameter of 5mm. 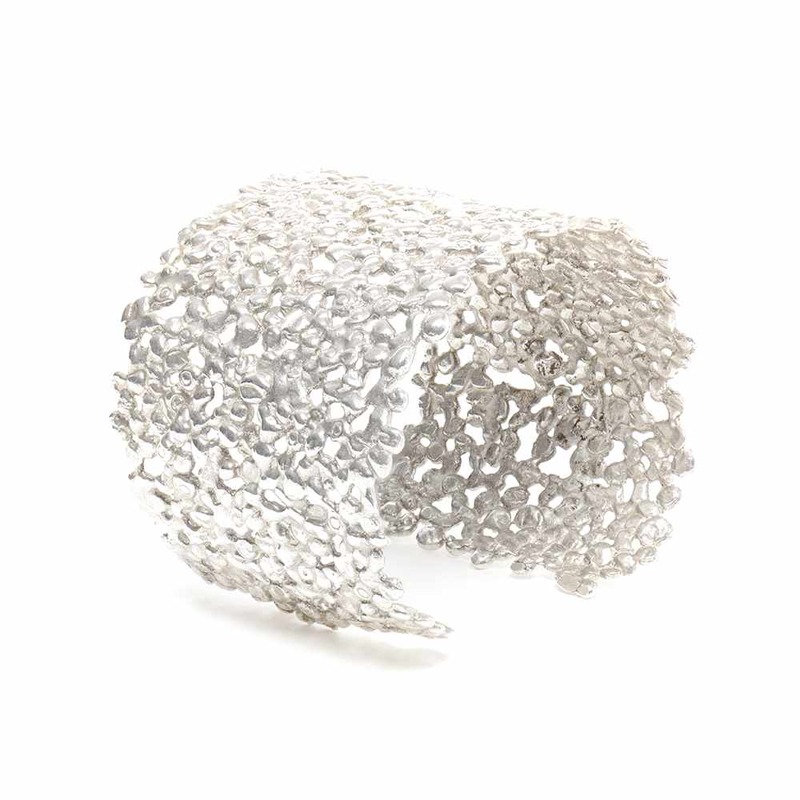 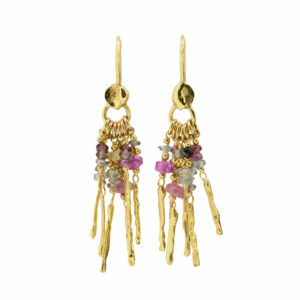 Please note this Natasha Collis item is handmade, therefore unique and may vary slightly form the item pictured.